Real Running, Low Impact. AlterG, Changing The Way The World Rehabs! Tell your friends! Tell your grandma! Tell your second cousin once removed! 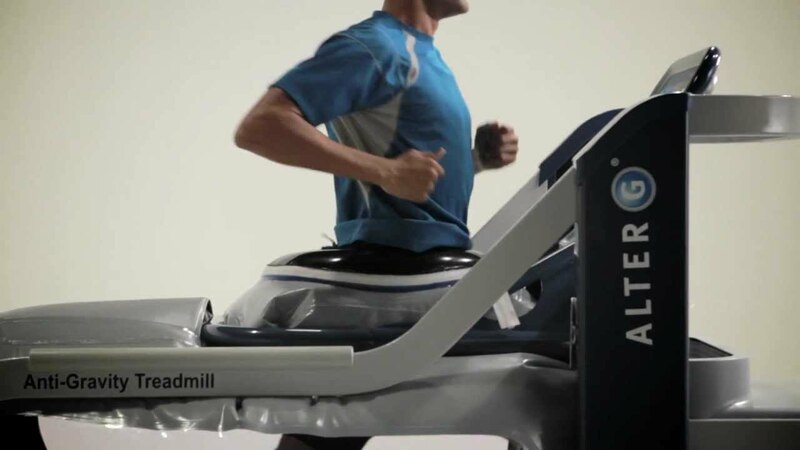 The AlterG is revolutionizing fitness and rehab by allowing you to run or walk with reduced impact. Hamstring strain? We got ya! Shin splints? No problem! Hip Pain? Not any more! Ankle surgery? Simple! SportsCare can get you upright and moving on the AlterG sooner than imagined. Contact our Gresham clinic (503.491.1666) to make a rehab appointment, and to see what this brilliant piece of machinery is all about!